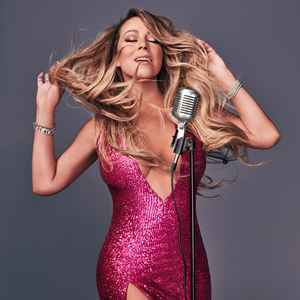 Mariah Carey (born on Long Island, New York, on 27 March, 1970) is a Grammy Award-winning American singer/songwriter noted for her remarkable vocal range. According to Billboard magazine, she was the most successful artist of the 90s in the United States. Music critic Jim Farber of Daily News said that Carey has "a range wide enough to cover all the octaves between an alto and a soprano and the agility to move between those roles with swiftness and aplomb", and her vocal trademark is her ability to sing in the whistle register. Carey has cited Minnie Riperton as the greatest influence on her singing technique and from a very early age, she attempted to emulate Riperton's high notes, to increasing degrees of success as her vocal range expanded. In 2003, her voice was ranked first in MTV and Blender magazine's countdown of the 22 Greatest Voices in Music, as voted by fans and readers in an online poll. Carey said of the poll, "What it really means is voice of the MTV generation. Of course, it's an enormous compliment, but I don't feel that way about myself." I Love her and i will ever do. Look at my collection. This is the first time i ever heard these remixes and ive been following Mariah since the 90's. Thanks for posting the remixes.